The vestibular system can be divided into two main systems: the central system (the brain and brainstem) and the peripheral system (the inner ear and the pathways to the brainstem). This publication discusses the peripheral vestibular system in depth. One of the distinctions that may need to be made is if the dizziness the patient is reporting is coming from the peripheral vestibular system (the labyrinth of the inner ear, and the pathways/nerves connecting to the brainstem) or the central vestibular system (the brain and brainstem). 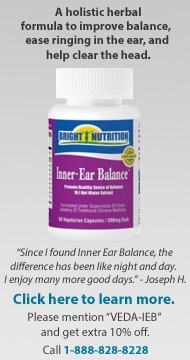 Gives a brief overview of the anatomy of the ear and how it controls balance. Includes a glossary of terms and a diagram of the ear. 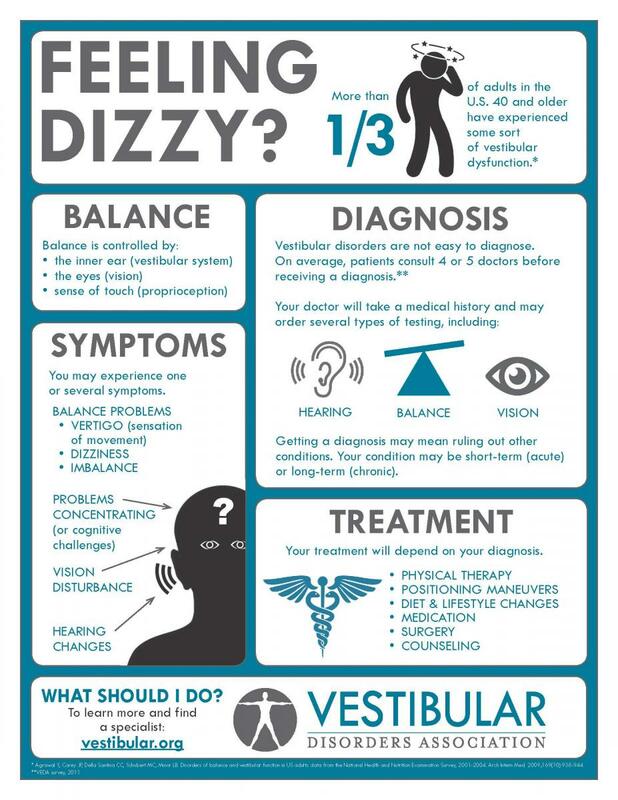 Vertigo, dizziness, and disequilibrium are defined; common causes are explained. Click here to download a 1-page summary of "Causes of Dizziness." How Do I Know If I Have a Vestibular Disorder? A quick reference for possible symptoms associated with inner ear balance disorders, including balance, vision, hearing, and cognitive issues.